Why Professional Urine Removal From Rugs Is So Important.. 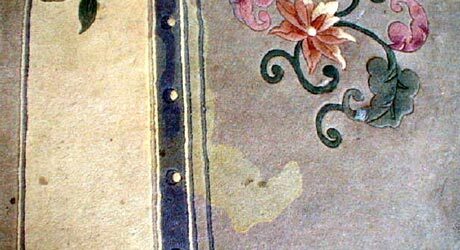 The fibres will degrade over time. Why Our Urine Removal Treatment Is So Effective & Thorough..
We soak urine contaminated rugs in a specially formulated decontamination bath which neutralises urine, specifically uric acid, and eliminates the odour causing bacteria. 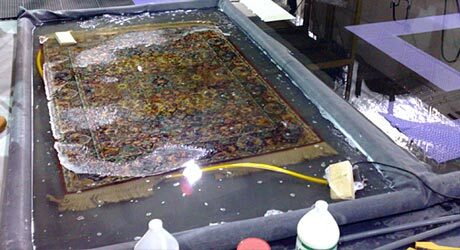 We use a pump system to flush the formula effectively through the rug and out of it, as many times as is necessary. Once all urine deposits are expelled we rinse the rug with softened cold water.